The key to finding a memorable Christmas gift is to select something that the recipient will use on a regular basis, such as truck accessories. These items are available in a range of styles and prices that can fit almost anyone’s budget. A truck owner will appreciate many truck accessories as a gift, including Magnum truck racks, floor liners, tonneau covers, running boards and bed mats. 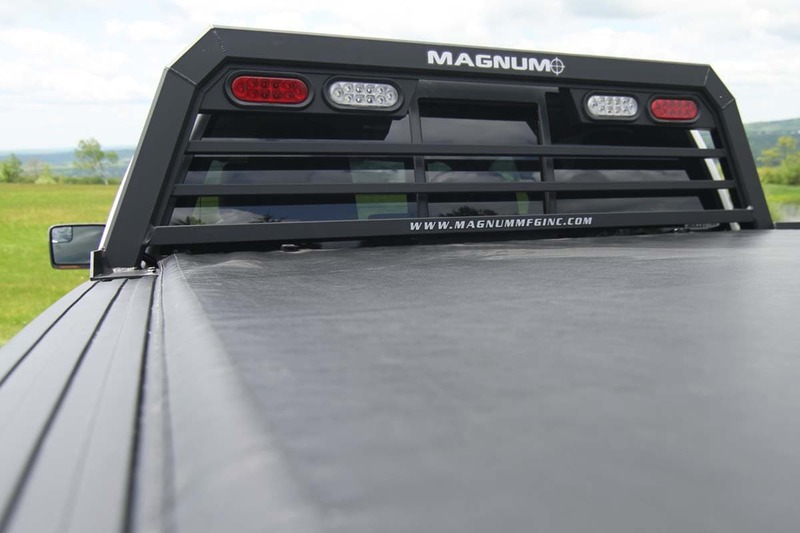 Magnum truck racks are available in a range of styles, depending on its specific purpose. All models are ruggedly built to withstand harsh treatment from weather and cargo. The Standard Truck Rack is the most versatile and is designed for general use. 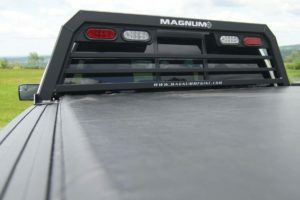 It has a glide track for easy installation and is compatible with Magnum’s other truck accessories. The Standard Truck Rack is also available with a window cut out to allow an unobstructed view through the rear window. This model is the lightest and most attractive truck rack in its class. The Low-Pro Truck Rack has a lower profile that makes it most useful for trucks with tonneau covers. A wiring harness provides this truck rack with backup lights, brake lights and signal lights. The Low-Pro Truck Rack is made of aluminum, with MIG and TIG welding for maximum durability. The High Pro Truck Rack is for truck owners who want a truck rack with greater functionality. It has a higher profile than the Standard Truck Rack, while still providing the same style. The High Pro Truck Rack is especially rugged and has more places to hang equipment. Floor liners help protect a truck’s carpet from mud and other debris on passengers’ feet, making it especially useful for off-road. They should be customized for each truck to ensure the best possible floor coverage. A quality floor liner for a truck should be constructed of multiple layers of tough materials, typically a rigid polyethylene core with exterior layers of a flexible thermoplastic elastomer (TPE). This design provides greater durability while gripping the carpet firmly to minimize movement. Floor liners are also available for a truck’s back seats and cargo areas. They typically contain channels on the surface to divert water and other fluids into a lower reservoir. This feature helps protect clothing and carpet from stains. A tonneau cover, or truck bed cover, protects cargo from the weather and also provides additional privacy. This accessory also improves fuel economy and gives a truck a sportier appearance. Tonneau covers should be purchased for a specific model of truck to ensure a proper fit. They’re typically pre-assembled, making them easy to install. Installation generally consists of placing the tonneau cover on top of the truck bed and securing it in place with clamps. Removal is equally easy, requiring you to simply release the clamps. The primary purpose of running boards is to allow passengers to enter and exit a truck more easily, especially a large truck with a higher ground clearance. In addition to providing more convenience, running boards also reduce the chances of a slip or fall while entering or exiting a vehicle. Running boards typically have lights along their length, making them easily visible in the dark. This feature is especially useful for off-roading and other conditions with poor lighting. Some running boards are also fully powered, allowing them to retract under the truck when not in use. The electronic components on a running board should be thoroughly protected from harsh weather conditions. Quality running boards should also have a weight capacity of about 600 pounds. Bed mats protect a truck bed from damage, which often occurs when loading hard materials into the truck. They’re typically constructed of hard rubber with a thickness of 1/4 to 1/2 inches and have cleats on the bottom to prevent slipping during transport. This material should be able to handle temperature extremes without cracking or fading in the sun. Bed mats should also be resistant to many fluids, especially fuel and oil. Installing a bed mat typically consists of simply unrolling it onto the bed.